10 Comments on "Breaking Out Of Negative Cycles – Revision Part 3 – Free Neville Goddard"
Thank you for all your help! Manifesting was hit or miss prior to your clarity on the teachings of Neville. Since my “discovery” of your website, my manifesting has reached new heights. I am a magnificently manifesting my life to my ideals! I really like your “it’s not normally like that”! It helps to have a script or tag line to get the shift going. Keep reminding us about revision — it’s the ticket to being Teflon [do you have that term in Oz? it’s the non-stick surface on pots and pans] as life goes on. Good guidance on using the tools. Thx. 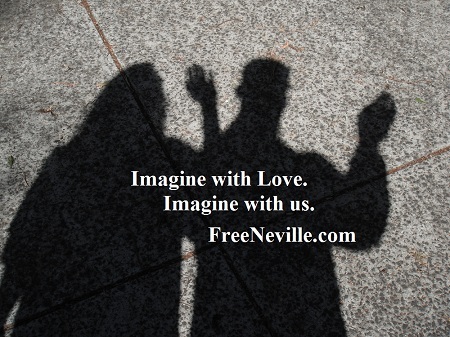 Also thanks for the Daily “Free Neville” emails, the whole family enjoys them. 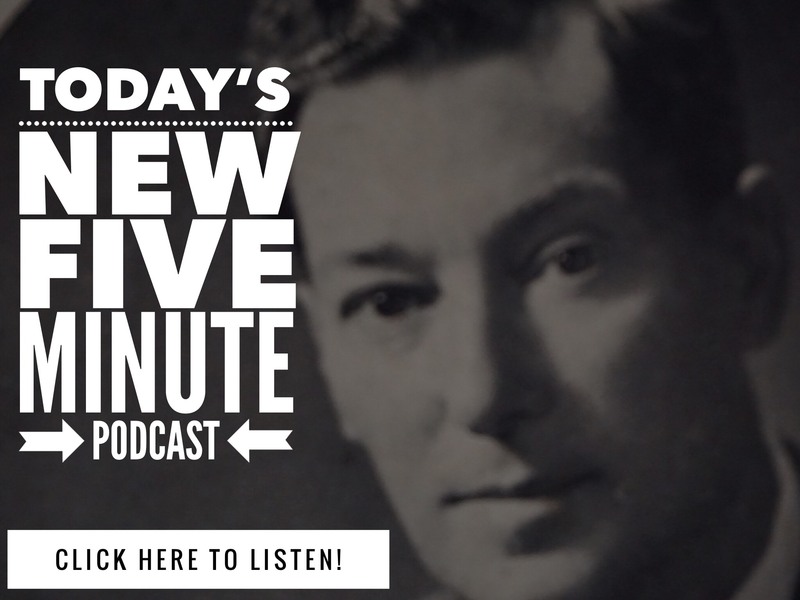 As much as I appreciate Neville Goddard and have learned from him, there is absolutely one thing that "revision" will not solve – and that's the death of a loved one. My husband died suddenly over a year ago, and it's the one thing that I have not been able to revise, or resurrect, or use my considerable imagination to deal with. And I've read every book and listened to every tape of Neville's – his passing has actually got me kind of "frozen" in place – not going forwards or backwards. How does Neville handle that? On death, we don’t die. Every mystic says this. I’ve experienced it. We continue on. Missing a loved one, especially a partner is tough. But knowing they continue on, on their next adventure – that’s way cool. I’m sure your lovely fella would want you to be happy and enjoy life. Feel a loving hug from us here in Oz. Not sure how Neville would apply this, but I know how I applied a bit of Neville to it. When my father died, I lost a lot of faith in my ability to manifest. His final months were tortuous, and it seemed unfair that such a kind and giving man would have to suffer so much. In the days after his death, I started seeing the recurrence of the numbers 11 and 17 everywhere I looked. The day he was born was the 11th. The day he died was the 17th. Also, my birthday falls in the same month as his, only it is the 22nd (as if I am the second in line to him). Further, when I got sober over two decades ago, my sobriety date fell on the 17th (the anniversary of the day my old self died and my new self was born). So there are a lot of parallels between my father and I, and the recurrence of 11 and 17 seemed to emphasize that. Immediately, a shooting star whizzed across the sky. That was when I realized that my father was not dead. I continued to experience him. In the shadowy physical realm, I could not drive to see him or pick up the phone to talk to him, but I could “see” him and “feel” him and “talk to” him and “listen” to him through spirit, which is manifested by imagination. I no longer think of Dad’s death as dying. I have revised it now so that Dad has moved to a different land, and I got to say goodbye to him, and even though I can’t pick up my phone and call him, I can still experience him any time I want by calling upon the means of communication that are used in his new land. Imagination, feeling, spirit. Isn’t stuff like that wonderful and good fun. And a great way to begin exploring – that we are eternal – we don’t die. We continue on – on a path much like the one we have created here. In “The law of the identical harvest” Neville talks about the experience of a woman who went through the loss of her son, nothing could appease her pain, then she went through an experience related to him which cured her totally and made her realize that there is no separation as we are all one. I really recommend you this lecture. I already had a similar experience with a deceased family member, during which she even saved my life, years after she passed away.